Virginia Gov. Terry McAuliffe said the gun control leaders who don’t like the gun deal he struck with Republicans last week are more interested in a national agenda. “My job is to keep Virginians safe,” McAuliffe said. That's why he was willing to make a deal on gun regulations, he said. “I have a state of Virginia agenda,” he said. 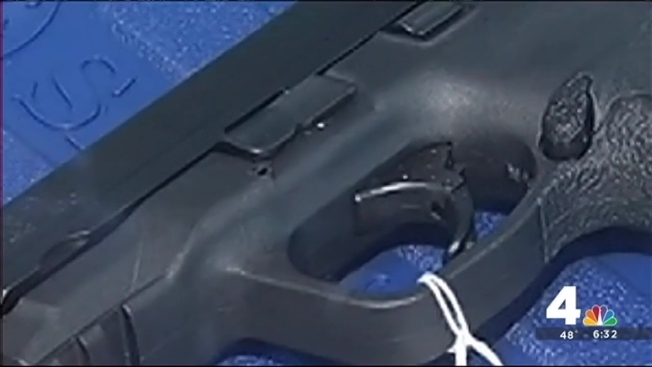 The compromise plan does not close the so-called “gun show loophole” but does put state police on site to do voluntary background checks for private sellers. Perhaps more significant, a measure to require anyone subject to a long-term protective order to give up or sell their guns. But McAuliffe's plan also gives gun rights supporters a big win: Pulling back a plan to stop honoring concealed carry permits from other states. Lori Haas, who has worked for tighter gun laws ever since her daughter survived the Virginia Tech massacre, said the governor gave up too much. ”Clearly opened a big, big, wide door and given the gun lobby a very strong footing to two of their top goals: Permit-less carry and blanket reciprocity with every state in the nation,” said Haas, of the Coalition to Stop Gun Violence. Legislators are moving the bills forward. Some will get an initial vote Tuesday.